With the ever-increasing load demand of electrical energy, it is important to consider all cost efficient alternatives to current practices. However, the current set up of the Meter Data Agency (MDA) limits any reduction in the cost of reading meters. 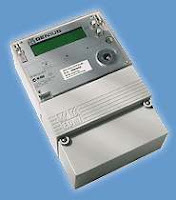 Meter-reading software initiates a call to a modem that is connected via a serial port to a meter. Ninety five percent of these modems are on a GSM network and as such to receive a data call require two numbers: data and voice.